There is an awesome new McDonalds Coupon available. 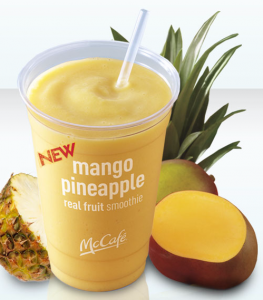 The coupon is for BOGO Free McDonalds Frozen Strawberry Lemonade, Frappe or Real Fruite Smoothie. Coupon is good through 7/31/11.